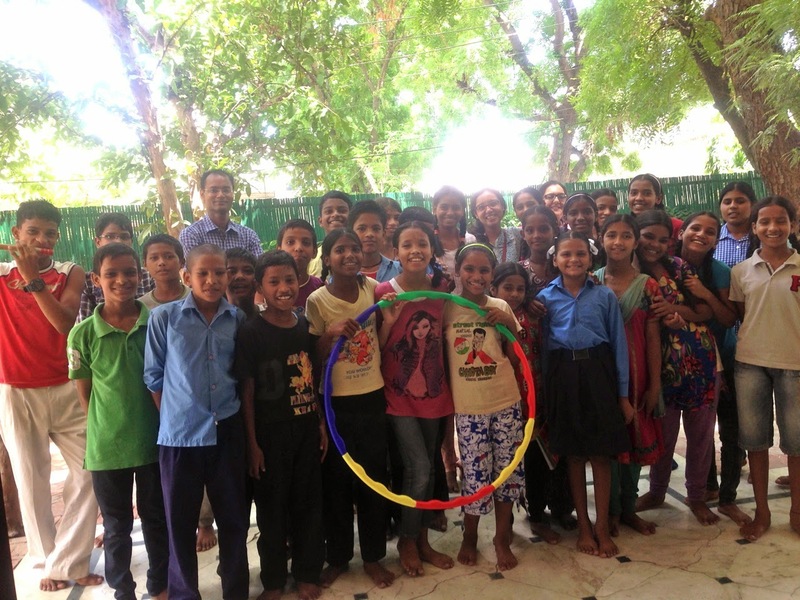 Two lovely homes in a green block in Gurgaon, buzzing with 300+ kids and faculty dedicated to the cause of providing quality education to the underprivileged. Being run completely on donations, this 'Harmony House' is a dream come true of a philanthropist. 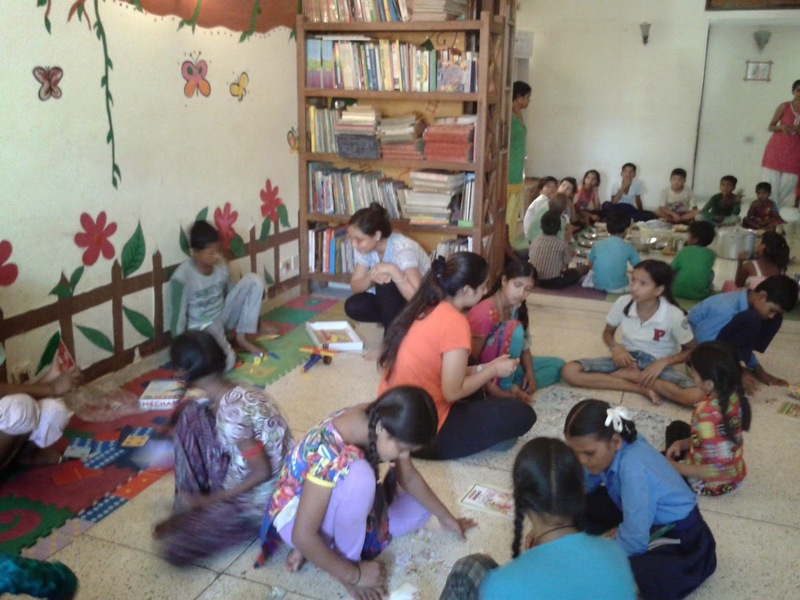 Toybank Delhi had the opportunity to set up the play libraries at these homes. 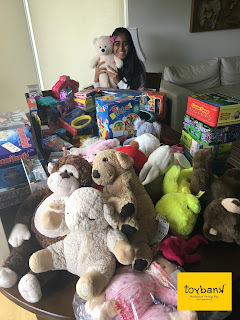 We managed to collect and sort around 70+ games and toys for the kids of age group 6 and below, and about 50 odd board and mind games for the older kids (age group 7-15). As the library setting up day was a Monday, so only about 4 of our Toybank volunteers could make it. However, we managed to spend two hours and trained a group of 30 older children on various board games, with a hope that the explanation will trickle down to the younger ones later. The management and staff at harmony house has shown immense support towards the play library, by offering space and time for the purpose. 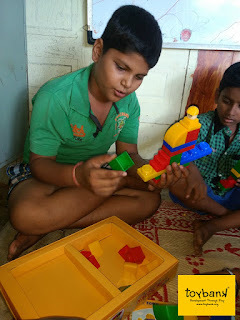 They believe it is a fun way of educating the kids and hence encourage participation.